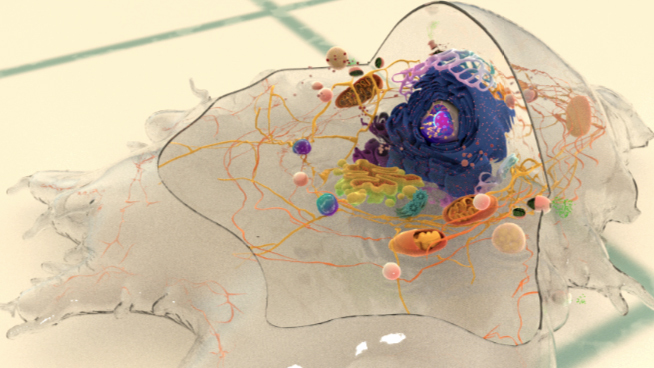 What is cell migration and what is its physiological relevance? Cell migration is the directed movement of a single cell or a group of cells in response to chemical and/or mechanical signals. It is a fundamental cellular process that occurs throughout life, starting during embryonic development and continuing until death, and at times it can contribute to pathogenic states in disease. 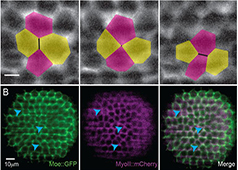 In a developing embryo, cell migration is the driving factor for various morphogenetic events. For instance, during gastrulation in very early embryos, groups of cells migrate as sheets to form the three germ layers. Subsequently, cells from the germ layers migrate to various target locations, where they specialize into distinct cell populations that make up various tissues or organs in the embryo. In adult organisms, cell migration occurs during vital cellular processes such as tissue renewal and repair, wherein old or damaged cells are replaced by the migration of newly formed cells from the underlying tissue layers. Such events are essential to maintain tissue integrity and homeostasis. 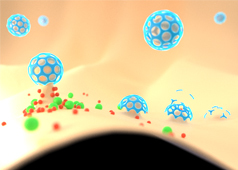 Cell migration also plays a role in mediating immune responses during infections, in which phagocytic cells such as neutrophils circulating in the bloodstream migrate to the infected tissues and destroy the invading pathogens. While on one hand, cell migration is vital for maintaining tissue health and homeostasis, on the other hand, undesirable migratory events are causative factors for a number of pathological states such as inflammatory diseases, cancers, and so on. Therefore, migration of cells has to be a tightly controlled process -both in time and space- to maintain a homeostatic state in an organism . 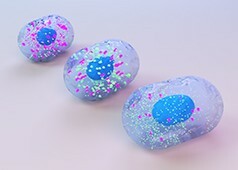 The migration of a single cell or a group of cells is regarded as a cyclic process, which involves the polarization of cells in response to migratory signals, the extension of filopodial or lamellipodial protrusions, the formation of adhesions between the cell and the underlying matrix, and the pushing of the cells over the adhesions as a result of traction forces generated by the adhesions. Polarization of migrating cells: The first step in directional migration is the polarization of cells, during which the front and the back of the cell become different in structure and molecular composition. The Rho family of GTPases, mainly Rac, Cdc42, and Rho, are one of the key regulators of cell polarization, with each of them showing localized activity in cells . 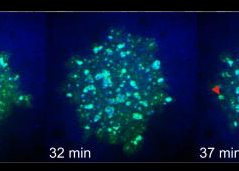 While Rac and Cdc42 show localized activity at the leading edge, active Rho accumulates at the sides and rear of the cell. Cdc42 also regulates the MTOC to localize in front of the nucleus, closer to the leading edge. This is mediated through Cdc42 effector PAR6, which forms the “PAR polarity complex along with PAR3 and aPKC; aPKC binds to tubulin subunits on the newly forming microtubules and anchors them at the leading edge. The assembly of the microtubules towards the leading edge facilitates the delivery of cargo (membrane and proteins) that are used in the formation of cell protrusions . 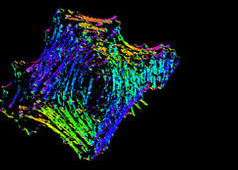 Extension of protrusions: A polarized cell starts putting forth actin-based protrusions at its leading edge, such as lamellipodia or filopodia. Lamellipodia are formed as branched, dendritic networks of actin filaments, and therefore are able to push along a broader stretch of the membrane. 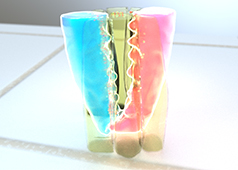 Filopodia, on the other hand, are formed as parallel bundles of actin filaments, and have roles mainly in sensing the physical properties of the extracellular environment. The molecular mechanisms driving the formation of these protrusions are different; lamellipodia are formed by the Arp2/3 complex proteins, which bind to the sides of preexisting filaments and initiate the assembly of newer filaments that branch off from the parent filament. 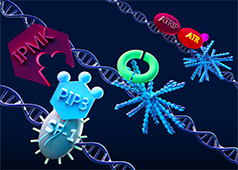 The activity of the Arp2/3 complex is regulated by the Wasp/Wave family of proteins, which are in turn regulated by the Rho GTPases. 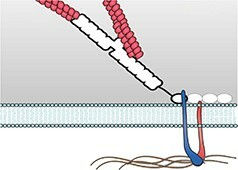 Filopodial assembly occurs through a treadmilling mechanism, in which actin monomers get added to one (barbed) end and disassembled at the other (pointed) end at a steady state. A number of actin-binding proteins like Ena/Vasp, fascin, ADF/cofilin, and capping proteins regulate the rate of filopodial actin assembly . 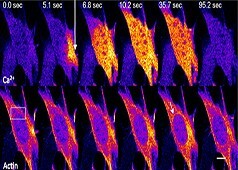 Formation of Adhesions: The extension of protrusions is accompanied by the assembly of molecular structures called focal adhesions that connect the actin cytoskeleton to the extracellular matrix (ECM). This is often initiated by interactions between components of the ECM (ligands) and receptors (primarily integrins) on cell surfaces, which then switches on distinct intracellular signaling pathways and causes the sequential recruitment of several scaffolding, signaling, and regulatory proteins to sites of focal adhesions. Focal adhesions serve two important functions at the leading edge: as traction sites against which cells generate tensional forces to push themselves forward, and as mechanosensors that convey information about the physical properties of the matrix to the cell interior. Tensional forces are generated due to the interaction of myosin bundles with actin filaments anchored at focal adhesion sites, and the contractile activity between the two molecular assemblies. The migratory capabilities of cells relies on the strength of focal adhesions, which is influenced by factors like ligand density, receptor density, and the affinity between the ligand and the receptor. For instance, rapidly migrating cells have very few integrin clusters and therefore these cells form very few, submicroscopic adhesions. 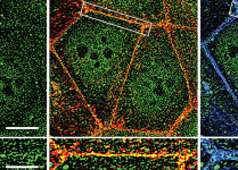 Cells with evenly distributed integrin clusters form smaller adhesions called focal complexes that stabilize the protrusions, but can also dissociate easily, leading to efficient migration. On the other hand, cells with mature focal adhesions are highly adherent and therefore are non-migratory or move slowly . Disassembly of adhesions: Adhesion disassembly occurs both at the leading edge and the rear of a migrating cells. At the leading edge, older adhesions at the base of the protrusion usually disassemble; however some of them do not and instead grow into more mature molecular assemblies. The disassembly of adhesions at the front is regulated by kinases like =FAK and Src, as well as by phosphatases . Several studies in this area have led to a model for Src/FAK-mediated signaling pathway, in which active forms of these kinases lead to the activation of Rac and Erk. The final response is the turnover of adhesions in response to activation signals. Adhesion turnover at the rear is essential for tail retraction and the forward protrusion of cells, and is mainly regulated by myosin II-dependent actin filament contractility . Additionally, intracellular calcium levels are known to play a key role in regulating this subcellular event .